Cheap websites are often equated with low budget businesses and web pages that look like they haven’t been updated since 1998, but when it comes to cheap web design, you should understand that cheap website design does not need to mean inferior websites! In fact, when they are well thought out, cheap websites can look great and work! If you have a small to medium sized business, you’re probably looking for cheap website design that isn’t going to break your bank. Whilst you don’t need all the bells and whistles, you want to create a good first impression for your potential customers and you want your product to sell. Everyone has told you that a quality website costs thousands of dollars and that cheap web design costs more in the long run but as a startup business you just can’t afford to dish out a lot of money. You’re stuck. Web providers often charge excessively for websites simply because they can. Startup businesses that are not tech-savvy often have no idea about how websites are built and what a website is worth. Some web providers use this to their advantage and charge high rates for low-class websites. This is not fair. At Magicdust, we believe that every small business should have a great website. As a small business ourselves, we know that thousands of dollars is not a realistic budget for many businesses just to get a website up and running. For many small businesses, their website is simply an online brochure with a brief description of their products or services and contact details. Other businesses may have ecommerce requirements if they are looking to sell their products directly online. With reputable designers who will work with you until you’re 100% happy and a technical support team on hand to help fix any problems, we take pride in being able to provide high-quality websites at a cheap website rate. Our process is simple and smooth – we package your domain purchase, hosting and email service with your website to reduce your overall costs – and as one of Australia’s largest web providers, we have the professional team to help your business get online stress-free. If you’re looking for a new website for your business; plan, research and make sure that you are getting your money’s-worth. At Magicdust, we know that we can provide quality at an affordable price, and we work with you until the end. To find out how we can help your business, get in contact today. Your website design should fit well with your overall branding, whether that is bold and colorful, or slick and corporate. Look for a company with a large portfolio of relevant work, a team who are happy to talk to you about your goals as well as answer any questions you have. Offering some of the most experienced Brisbane, Melbourne and Sydney web designers, Magicdust has proudly delivered over 6,300 websites for well-known brands and companies all over Australia. 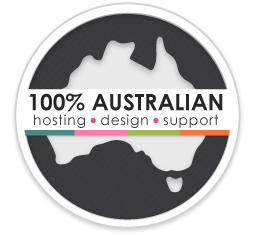 We’re 100% operated and owned in Australia and all our web designers and technical support services are in house. 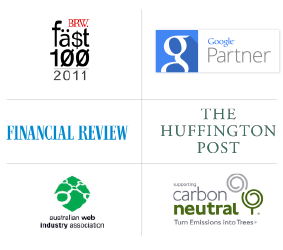 We’re here to help you make your business and brand succeed online with web design offices in Sydney, Melbourne and Brisbane.